Maybe one of the most overlooked clubs in a players bag, the hybrid is as unique as it is versatile. 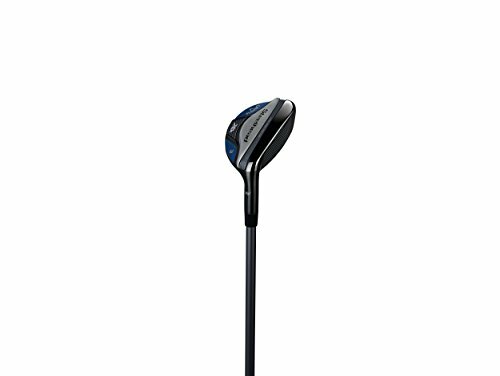 The combination of an iron with a fairway wood creates the unique clubhead style that lends itself to easier playability and forgiveness. Today’s best hybrid golf clubs feature a mix of high grade forged steel and premium plastics or carbon fiber. Players that have mastered using the hybrid know that the club is not only used for long towering shots on a par five, but also for small intricate bump and runs next to the green. If you are looking to take your game to the next level and want to shave strokes off both your long and short game, investing in a quality hybrid or two is all it takes! And before you jump into our reviews for the best hybrid golf clubs, remember that each person is different in their swing style, play style, and swing speed. So make sure that if you choose to purchase one of these hybrids that you choose the configuration (shaft stiffness, shaft length, and lie/loft) that is right for you. With that said, let’s take a look at our review of the 12 best hybrid golf clubs on the market! 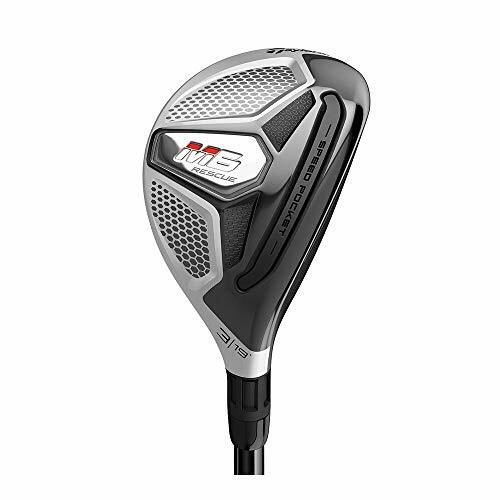 Boasting Taylormade’s latest technology such as Twist Face and Speed Pocket, the M6 Rescue Hybrid brings cutting edge technology to everyday golfers to help them hit it farther and with more forgiveness than ever before. In recent years, Taylormade has climbed its way to the top of all golf club manufacturers through its introduction of innovative new products and technology. The M6 Rescue Hybrid is no exception and earns the title of best overall hybrid on the market. Taylormade’s Twist Face allows for more forgiveness on most mis-hit shots, keeping players from exploring the more treacherous parts of the golf course. And for those golfers that tend to occasionally hit the ball low off the club face, Speed Pocket technology should help create more distance and less unwanted ball spin. Many configurations and options are available to players, including three shaft stiffnesses and 5 lofts from 19 degrees to 31 degrees. Despite most players only purchasing the 19 and 22-degree versions, it is still nice that Taylormade offers higher degrees to replace higher loft irons. 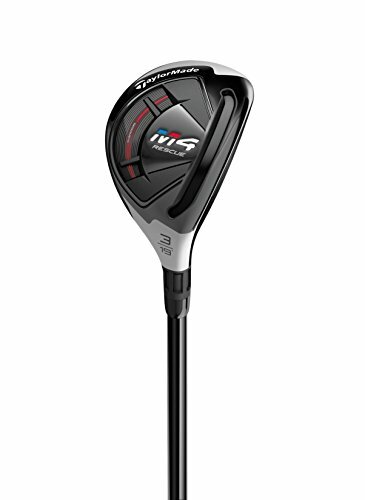 Offering both distance and forgiveness through innovative technology, the Taylormade M6 Rescue Hybrid is the one club that can truly make a difference in almost anyone’s game and is recommended to players of all skill levels. Callaway’s Jailbreak Technology makes its first-time appearance in a hybrid that offers more distance and faster clubhead speeds than ever before! With the great success of the Callaway Rouge Driver, Callaway decided to bring the same technology over to its 2018 line of hybrid clubs. Combined with Speed Face Cup Design the Rouge X Hybrid increases clubhead speed while also creating a larger more forgiving sweet spot. Callaway also opted for a Carpenter 455 steel face meant to forgive off-center hits and transfer more power and speed over to the ball. An impressive 6 different loft options are available that range from 18 degrees to 32 degrees (3 iron to 8 iron). Although if you are a left-handed golfer, you will only be able to pick up clubs with a loft of 18 degrees to 23 degrees (3 iron to 5 iron). Many players had great success using Callaway’s Rouge Driver and with that same technology included in the Rouge X Hybrid, players should expect similar success if they switch to the Rouge X.
Cobra’s flagship hybrid, the F8 features a simple design coupled with interchangeable weights and Cobra’s patented Dual Rail system to give players more versatility on any type of lie. With the introduction of the F8 Hybrid, Cobra looks to take its last generation F7 clubs and add new upgrades that will allow for higher shot trajectory and more versatility in unfavorable lies. A new addition to the club is the Dual Rail System that helps keep the clubhead stable through the bottom of your swing allowing for better contact in first and second cut rough. This rail system also allows for better guidance of the club head over uneven or bumpy terrain. Another feature is the inclusion of a changeable weight system located at the back of the club head that allows for greater customization to a player’s specific swing style. Also included is Cobra’s “Cobra Connect System” which allows the F8 Hybrid to be connected to one’s smartphone through the Cobra App. The app will then track shot statistics such as timing, swing speed, and estimated shot distance. 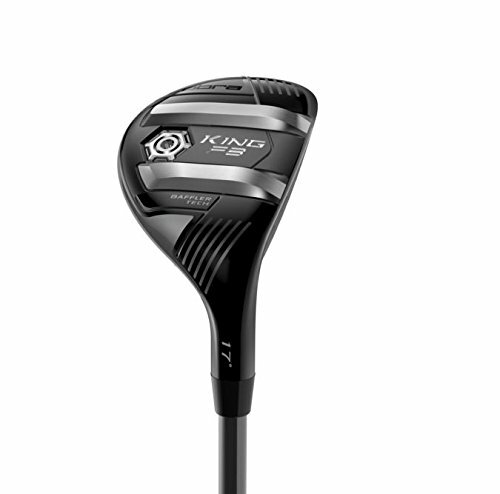 Maybe the best hybrid on the list for hitting out of the rough, the Cobra F8 Hybrid is perfect for those looking to have solid shot performance in the fairway as well as the rough. The Taylormade RBZ Rescue is a much simpler approach to the hybrid that gives the user premium feel and performance with less customization. In creating the RBZ Rescue, Taylormade aimed to create a club that was simple but powerful. Certain features like customizable weights and adjustable loft were removed, but important distance creating features like the Speed Pocket and back weighting were added. Cutting out these unneeded customizations also allowed for an overall lower price making the RBZ Rescue one of the best bang-for-your-buck hybrid clubs available on the market today. The only real detraction from the RBZ Rescue is that there are only three loft styles to choose from. Combine this with the fact that the loft isn’t adjustable, and it could be hard to find the right fit. At the end of the day, the Taylormade RBZ Rescue is the best value current generation hybrid on the market thanks to its superb distance and forgiveness despite it lacking certain customization options. 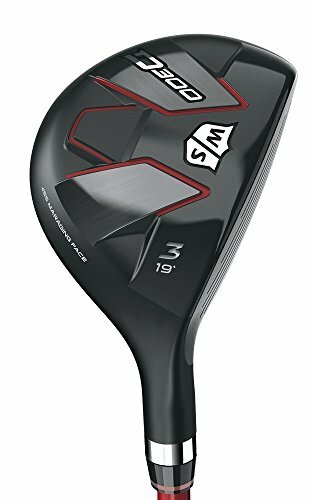 Despite being last year’s model, the Taylormade M4 Rescue Hybrid still packs some of Taylormade’s best technology similar to that used in the current model M6. Golfers are always looking for more clubhead speed combined with greater forgiveness and the M4 Hybrid delivers on both of these categories thanks to a wider and longer Speed Pocket. Another benefit of an increased Speed Pocket is a thinner face that has more pop than previous revisions. Two internal mass pads create a greater spread to the center of gravity that gives the club a wider sweet spot and more ball speed to mis-hit shots. The slight downside is that since these weight pads are internal, the user is unable to customize the club to better fit their individual swing style. Most hybrid shafts weigh in around the 60 – 65-gram mark and a regular flex M4 Hybrid shaft weighs in at 72 grams; a little on the heavy side. It might be a year old, but the Taylormade M4 Rescue Hybrid is still a great club to have in any bag. The price may still be a little high, but it is still cheaper than the M6 while utilizing the same game-changing technology. 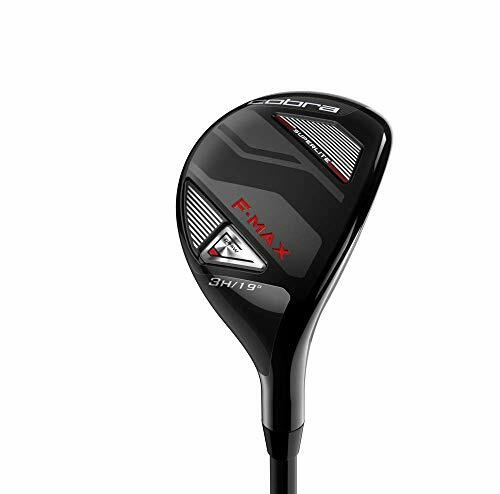 For golfers that love a lightweight club that doesn’t compromise on distance or control, the 2019 Cobra F-Max Superlite Hybrid is the club for you! While most golfers could care less about slight differences in the weighting between different types of hybrids, Cobra knew that there were more than a few that prefer a lighter hybrid. Thus the Cobra F-Max Superlite hybrid was born! By using a lighter grip and shaft, Cobra was able to reduce the overall weight of the F-Max by 12-grams. This reduction in weight should help golfers create more clubhead speed as well as ball speed. The only real drawback of the F-Max Superlite is the center of gravity is not centered at the back of the club, rather it is centered closer to the heel. Depending on the type of golf swing, this could pose an issue with the proper closing of the club face right before impact. 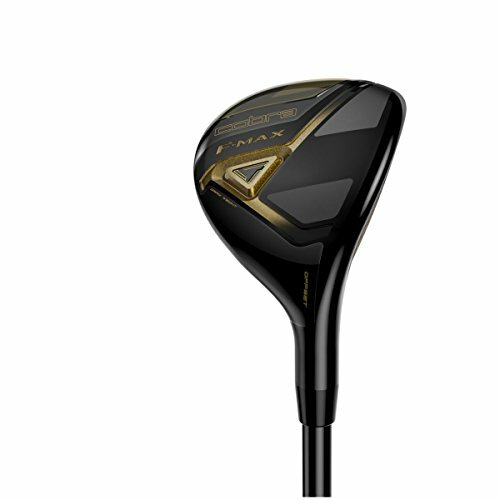 Despite not having some of the more modern features such as moveable or customizable weights, the Cobra F-Max is still a great hybrid club that can really help those that have a hard time generating clubhead speed. The Adams Tight Lies line of hybrids is one of the longest-running hybrid lines in golf that continues to add new technology on top of proven performance. Every year a new feature or two is added to the Tight Lies line of hybrids and this year is no different. 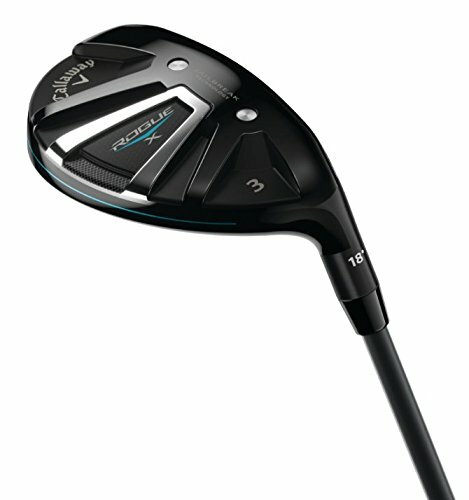 Adam’s introduces its new Ghost Slot Technology that is marketed as creating more clubhead speed and overall distance. It appears that this Ghost Slot is similar to leading brands Speed Pocket Designs. Another interesting feature is the inclusion of what Adam’s calls the Upside Down Design. 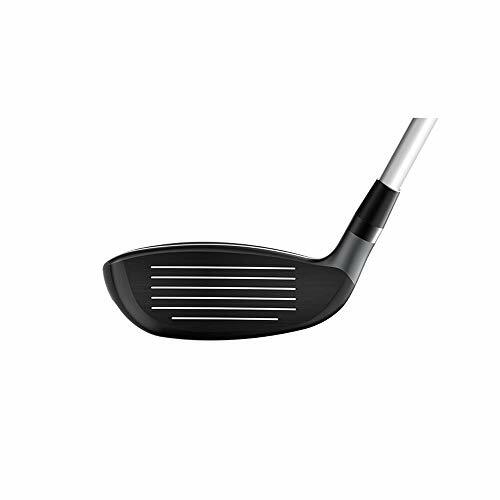 This style of design gives the face of the club a unique shape that is meant to create a larger impact zone at the bottom of the face. Also, if you are a golfer that swings stiff shaft clubs your going to be disappointed. The only shaft types offered by Adam’s are regular and senior flex; a real oversight. 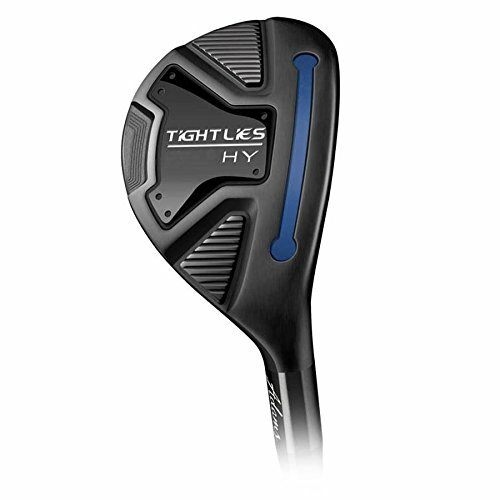 It is a little disappointing that this year’s Tight Lies hybrid doesn’t include the option of a stiff flex shaft, but for those that usually swing a lighter flex shaft the Tight Lies Hybrid is a great compromise between price and performance. Combining Cleveland’s HiBore Crown and Flex Fins on the Launcher, create a hybrid that gives great feel, distance, and a towering ball flight. When looking down on the club head of the Cleveland Launcher it is hard to miss the untraditional HiBore Crown. But despite its looks, the HiBore Crown is an important part of the club, compressing and decompressing during impact to push more power to the ball. Add in Flex Fin Technology and Cleveland has come up with a recipe that creates great distance through towering shots. Plus, the Cleveland Launcher Hybrid includes a premium Miyazaki C. Kua shaft that weights in at a light 60 grams. The light shaft lends itself to helping players get even more clubhead speed through their swing. There might not be any real customization options available, but that’s just fine since the consensus is that the Launcher Hybrid is a great club just the way it is. Cobra’s second hybrid line, the F-Max series, features fewer customizations than the regular F series but includes the same types of technology with a new weighting style. A gold and black paint scheme give the Cobra F-Max Hybrid a vintage look but the performance is anything but. A forged steel insert face gives the club great pop and a large sweet spot. Heel weighting may not be everyone’s cup of tea, but the F-Max Hybrid makes great use of this style of weighting to help those with slower swing speeds get greater distance. The hosel on the F-Max Hybrid is offset, so those that are used to a traditional style of hosel placement many find it difficult to use at first. The offset is like many other offset clubs so if you already play offset irons or hybrids this would not be much of a change. Just like its color scheme, the Cobra F-Max hybrid is unique in the way that it offers solutions to increase a players swing speed. And when it is all said and done, the F-Max does offer great increases in swing speed and distance for all golfers. Callaway may be known for their technically advanced clubs, but Callaway also offers less advanced clubs like the Steelhead XR Hybrid which gives exceptional performance for a great price. At first glance, the Callaway Steel XR Hybrid might remind you of an older more traditional style of hybrid. Boasting a large clubface thanks to the elongation of the blade, the Steelhead XR offers great forgiveness. Another great feature of a more traditional design is that significant backweighting is easy to achieve. This allows the Steelhead XR to cut through the rough and create nice high shots. Only three lofts are offered for the Steelhead XR; 3 hybrid, 4 hybrid, and 6 hybrid. Interestingly, no 5 hybrid is offered. Simplicity is what makes the Steelhead XR hybrid a great club and the best hybrid golf club for high handicappers. Wilson Staff’s entry into the hybrid market with the D300 gives players on a budget a chance to have clubs that include many modern features like turbulators, rails, and forged clubfaces. The D300 Hybrid is Wilson’s take on the hybrid that utilizes popular hybrid features found on other brands of clubs. The best part? Wilson is able to include all these features at half the cost of most other brands. Similar to the turbulators found on Ping golf clubs, Wilson includes Micro Vortex generators across the top of the D300 giving it better aerodynamics. Another premium feature is the inclusion of a premium Carpenter 455 Steel insert for the clubface. This style of clubface is found on some of the most popular hybrid brands like Callaway, Cobra, and Taylormade. Wilson might not have the best brand recognition in the golf industry, but one can’t argue with the amount of value included with the D300 hybrid. Great performance at a great price. How can you go wrong? Made for those just learning the game, the Pinemeadow Excel EGI Hybrid is a simple club with no extras, sold at a barebones price. If two words were used to describe the Excel EGI Hybrid they would be simple and practical. From the clubhead to the grip, every part is meant to be functional without the frills. As far as club performance goes, the Excel EGI Hybrid allows for good contact in many types of lies and has no real shortcomings. That being said, the overall weight of the club is very high, making it tough to get great amounts of clubhead speed. A great advantage is that the Excel EGI Hybrid is one of the cheapest hybrid golf club sets on the market. If you are a beginner golfer or just looking for a budget club that will get the job done, the Pinemeadow Excel EGI Hybrid is a perfect choice. Over the last decade, hybrids have become very technologically advanced and offer all players greater distance with increased forgiveness. Players now have so many choices in hybrids that it can sometimes be a little confusing on which type to choose. Here are some things that you should consider when choosing a hybrid that is right for your game. Despite different looks depending on the manufacturer, almost all hybrids have the same main design that features an iron sized face with a small tank at the back. This style of design allows for the same feel as an iron but with increased forgiveness and distance from many lies. Many of the big manufacturers create their hybrids by using 455 forged steel to create the club face then insert that face into the rest of the clubhead. Most premium clubs feature weights and premium synthetic materials to create more forgiveness and clubhead speed. Hybrids that have more features and fancier designs usually command a premium making it hard to acquire a full set at a reasonable price. Adjustability is a feature that has become very common in both drivers and hybrids allowing golfers to better tweak the club to their liking. Most hybrids allow for the adjustment of the loft by simply loosening the clubhead and selecting the loft. Another less common adjustment is available through adding, removing, or moving weights on the sole of the club. Manufacturers normally release two versions of hybrids; one that is adjustable and another that can not be adjusted. So if you are interested in buying a hybrid that offers adjustable features, be sure to check that the model supports those features. Although Center of Gravity (CG) and Moment of Inertia (MOI) may seem like scary Physics concepts but really are quite simple to understand and play a big part in the way today’s clubs work. First up is the Center of Gravity. CG put simply is where the average location of weight is in an object. In golf terms, CG refers to where the clubhead is weighted. For most hybrids, the CG is located at the back center of the clubhead, with other hybrids having a CG closer to the heel. The reason that the location of the CG is so important is because the location affects shot height and Moment of Inertia. Moment of Inertia is a concept that is not as specific as CG and simply means how easy it is to set an object in motion. Usually, golfers talk about MOI without necessarily knowing it when they refer to a club as having a lot of “Pop” or a “Hot Face”. CG plays a big part in the MOI of a club and consequently, a club that has a high MOI also has a very good CG. Golf is a very personal sport where no two players will have the same swing, stance, or play style. So when it comes to whether a player will or won’t use hybrids, it is up to their personal preference. The largest reason that golfers opt to replace some irons with hybrids is to help increase their distance. Another reason would be the increased forgiveness with a hybrid over a traditional blade style iron. Because of the increased distance and forgiveness, high handicap and slower swing speed golfers would benefit the most from switching from irons to hybrids. Of course, this doesn’t mean that hybrids are only for golfers looking to lower their handicap. All golfers can receive the benefits that hybrid clubs have to offer. With the right hybrid, you can experience more distance and forgiveness over a traditional iron allowing you to shave some strokes off your score. And with the abundance of different hybrids on the market, there should be no problem finding the hybrid that fits you best. Advanced players that are looking for a top of the line hybrid should consider one that is adjustable and offers a mix of distance and forgiveness. The price may be higher, but the performance gain is one that you will see and feel. Beginners and players looking to build on their skills may be more interested in a hybrid that offers fewer customizations for a lower price. These hybrids are a great way to get more comfortable using the club type without a huge cash outlay. All the clubs in our hybrid golf clubs review are great hybrids that can really help you perform the best on the course. If you are feeling overwhelmed with information and are not sure what club would work best for you, try talking to your local PGA pro. 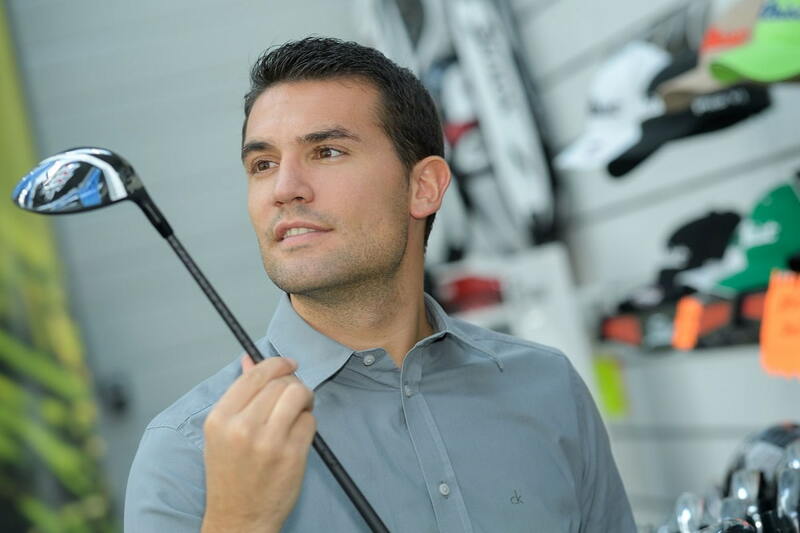 They are very knowledgeable about all types of clubs and which might work best for your individual game. Most times they even have demo clubs for you to try out before you decide to buy. So if after reading this review guide you know what hybrid you want to add to your bag; perfect! You will likely see improvement right away. If you are still unsure of which hybrid to get, go ahead and ask around at the course to get some opinions then come on back to our review guide and find the hybrid for you! With the right hybrid, you can experience more distance and forgiveness over a traditional iron allowing you to shave some strokes off your score. And with the abundance of different hybrids on the market, we have made your decision easier by reviewing the newest and best available on the market!